Helping You View an Iridium Flare! Iridium Flare Satellite Tracker - Knowing Where the Iridium Satellites can be important. You can also monitor the progress of the Iridium NEXT Satellites! Welcome to the Iridium Flare Tracker. The Red Circle is the terrestrial coverage of the satellite near you. You can "grab" the Man Icon and move to a different location. The Vector line is the nearest satellite to your location and is "most likely" your satellite link. An Iridium Flare is caused by the Iridium constellation with 66 active telecommunication satellites in low Earth orbit are known to cause the brightest flares of all orbiting satellites. View A Magnificent Iridium Flare. Satellite flare, also known as satellite glint, is the visible phenomenon caused by the reflective surfaces of passing satellites, reflecting sunlight toward the Earth below and appearing as a brief, bright "iridium flare". Time and place of the satellite's flare can be predicted only when the satellite is controlled, and its orientation in space is known. In this case it is possible to predict the exact time of the iridium flare, its place in the sky, the brightness and duration of the Iridium Flare. On this page you can track in real time all the satellites orbiting the Earth, with a 2D representation, predict their passes, view their trajectory, predict satellite flares and transits, find out the best location to see these events on a detailed Google map. Iridium Flare, you will know an Iridium Flare when you see an Iridium Flare. Of the roughly 3,000 spacecraft in Earth orbit, nearly 100 stand apart: the Iridium communications spacecraft, which skim the uppermost, most rarefied region of the atmosphere (the exosphere) at altitudes around 800 kilometers in six steeply inclined orbital planes (orbits that nearly pass overhead at the North and South Poles). Known as an iridium flare, the glare from these satellites is well known to many astronomers. As the Iridium constellation consists of 66 working satellites, Iridium flares are visible quite often (2–4 times per night). Flares of brightness −5 magnitude occur 3–4 times per week; −8 magnitude may be visible 3–5 times per month for stationary observers. With the addition of the Iridium NEXT satellite constellation there will be several more Iridium flares happening on a daily basis. In financial circles, the Iridium "constellation" of satellites stands apart because it was built at a cost of roughly $5 billion, only to be sold for $25 million when its first corporate owner, Iridium LLC, went bankrupt in 1999. The spacecraft (and the ground stations supporting them) were intended to enable owners of special portable telephones to communicate from any point on the surface of the globe. However, Iridium LLC never obtained the millions of customers needed to make the project profitable. The U.S. Department of Defense and Federal Emergency Management Agency are among the principal customers of the satellites' current corporate owner, Iridium Satellite LLC our of Leesburg, Virginia. In skywatching circles, the Iridium satellites stand apart because their flat, shiny, door-size antenna arrays (three per spacecraft) periodically reflect sunlight toward the ground, causing brief (seconds-long) but brilliant iridium flare that can momentarily reach an apparent magnitude of –8 — outshining the planet Venus. What's more, these iridium flares are predictable, thanks to the satellites' publicly available orbital elements and to software and Web sites that satellite-watching aficionados have made available free of charge. There are many controlled satellites in addition to Iridium satellites, which can also flare, but most flares of these satellites do not exceed magnitude −2, therefore, they are often overlooked. Unlike and Iridium Flare. Most flares from other satellites are almost indistinguishable from a dim Iridium flare. 4 - The elevation angle: the satellite should be at least 25 degrees above the horizon. When these four conditions are achieved, we say that the satellite will be potentially visible during its passage over our station. Meaning that technically, it can be seen, nevertheless other factors can influence its observation, among them the satellite's altitude and size, its coating material and the atmospheric conditions of the local observation. The Iridium GO 1000 Prepaid Service Airtime SIM Card is loaded with 1000 data minutes/500 voice minutes or a combination thereof that can be used anywhere in the world. 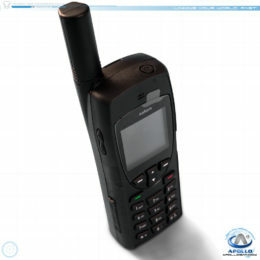 The Explorer 700 is a heavily reliable satellite terminal that was engineered to relay information fast and under tough conditions while continuing to perform up to the manufacturer’s highest standards. The Furuno 1715 presents crisp Radar echoes in four shades of gray on the 7″ Silver Bright LCD while offering detailed pictures of coastline and targets at short ranges thanks to narrower pulse lengths.